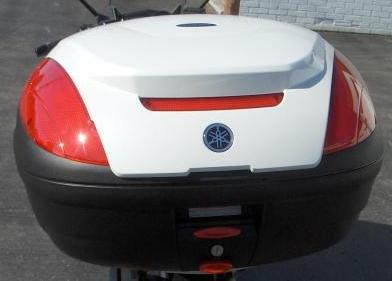 New for the 2010 Majesty scooter is a matching white majesty top case. The top case is lockable with a 46 litre capacity and features large reflectors and a durable water tight design. The top case is removable, use the key and release button to release the box from the mount. The Majesty top case mount is required to install the top case. The stock passenger backrest must be removed before you add the mount. 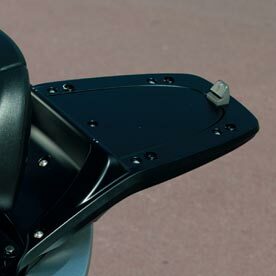 The holes for the mount are existing behind the seat. Easy install, about 10 minutes. Includes all necessary hardware. Fit & finish looks awesome ! !